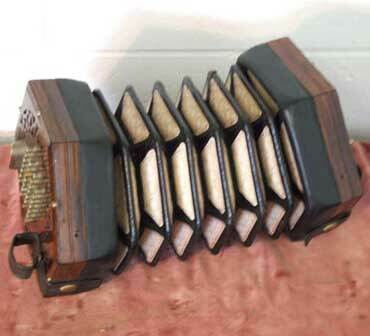 English concertina, Wheatstone. Treble upwards, steel reeds. Plays very well. Note: This item has been sold! All instruments have a 6 months guarantee including a free service. Please contact Christiaan Dolislager on (02) 6655 4773 or (0412) 362 307. 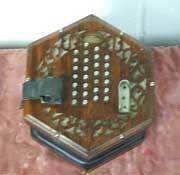 Do you have an instrument for sale or to swap? Tell about it here in JAM's Folk Mart!